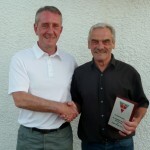 One of Cupar Hearts’ longest serving players was honoured for his loyal service to the Club on Saturday. Tommy Halley has played for Cupar Hearts on and off since the 1996/1997 season and was presented with a shirt and a trophy to show the Clubs appreciation for all of his efforts. 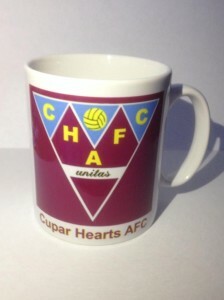 During his time at Hearts he won over 20 trophies which included being part of the first ever Cupar Hearts team in history to lift the Fife Cup back in 2007 and saw the Club go on to win the cup 4 times. 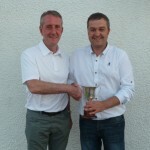 Tommy also played a key part in Cupar’s record breaking 4th consecutive Kingdom Caledonian League Championship success. 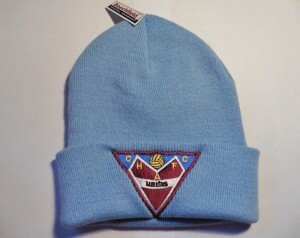 He lists the Scottish Cup semi-final against Pollock where he scored to help Hearts to a convincing 6-2 victory as one of his favourite matches along with Cupar’s 2nd Fife Cup win versus Kennoway Amateurs, and despite his goal being disallowed for offside the team ran out 3-1 victors. 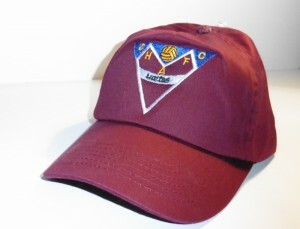 And back in 2008 Cupar Hearts travelled to face Rosyth Civil Service needing all three points to be crowned Champions while their opponents required only a draw to retain the Kingdom Caledonian League trophy. After an emotion fuelled 90 minutes Hearts came away with a 2-1 win lifting the Championship for the 2nd time since season 2000-01. His highlight was playing in the Scottish Amateur Cup run that got the Club to the final at Hampden Park in May 2007 for the first time in 50 years. 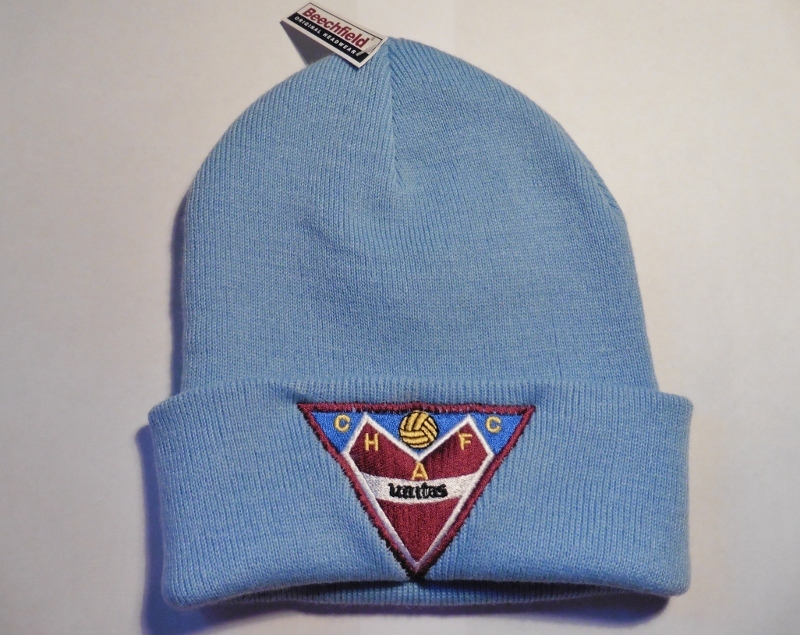 Despite Cupar’s narrow 1-0 defeat to Drumchapel United around 2000 supporters travelled to cheer on the boys and the town of Cupar had every right to be proud of their team. His most memorable moment was back in season 2011-2012 when he needed to score in the last game of the season to prevent a player fine for not scoring all season. Cupar Hearts hosted Eastvale and with the Kingdom Caledonian League title on the line Tommy scored the equaliser- turning the ball into his own net! 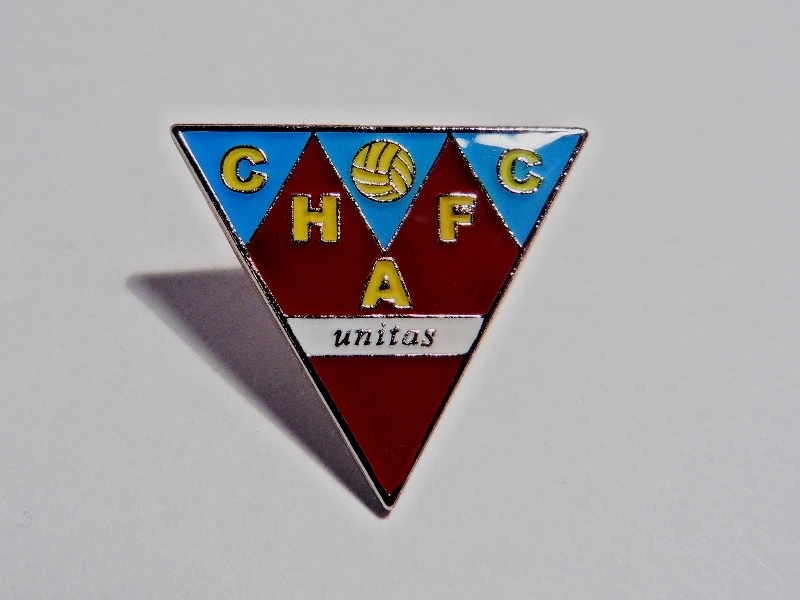 Luckily the draw was enough to leave Hearts one point ahead of nearest rivals Leven United to claim the title for a 3rd consecutive season. A memory I’m sure he’d rather forget! 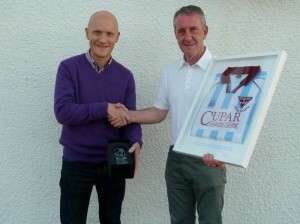 Cupar Hearts wish Tommy Halley every success in his future. 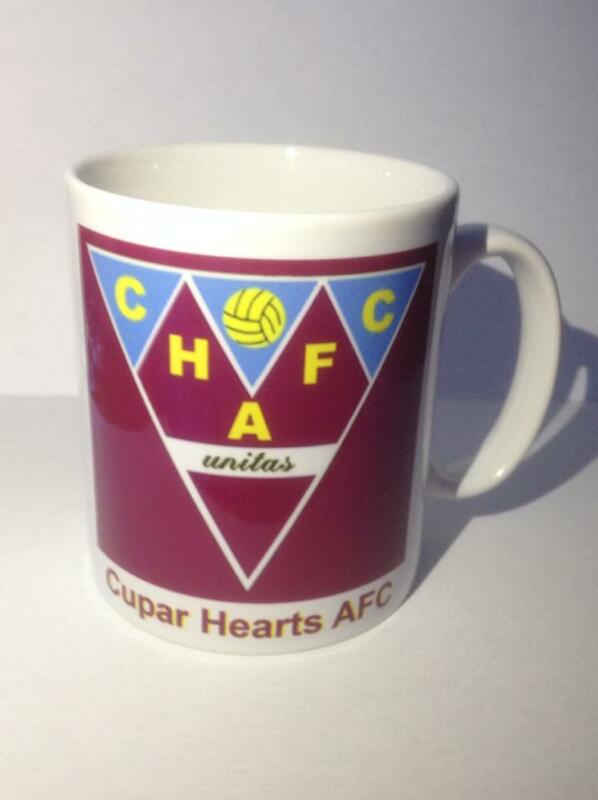 Cupar Hearts’ most successful manager of all time has decided to step down after 7 years at the helm. Robson Sibanda along with his assistant David Lumsden have blown full-time on their illustrious careers and will take a break from football. 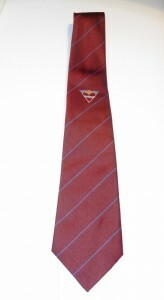 The duo took over in 2007 with high expectations after a successful season which saw Hearts reach the Scottish Cup final and win the Fife Cup for the first time in their history. Their achievements however have gone above and beyond anyone’s imagination leading Cupar to an incredible 17 trophies including 3 Fife Cup’s and 5 League Championships. 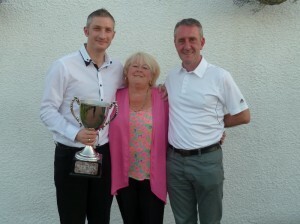 This outstanding feat also saw a record breaking 4th consecutive Kingdom Caledonian League Title. Craig Lumsden with Charles Anderson as his assistant took charge at the end of the season and are local men who have both played for the Club. Craig Lumsden joins Hearts new to management after a successful playing career where he played professionally for Dunfermline Athletic, East Fife and Forfar then at junior level with Oakley and Ballingry and latterly at amateur level with Cupar Hearts. 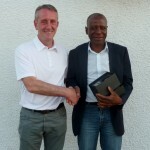 The new appointments bring about an exciting new chapter in the rich history of the Club. 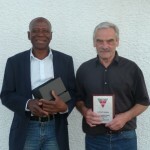 Robson Sibanda and David Lumsden both received awards as a token of the Clubs appreciation. 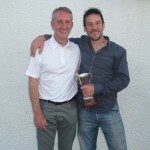 Players’ player of the year- Ricky Melville. Committee’s player of the year- Scott McInroy. 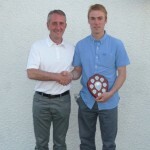 Supporters player of the year- Charles Anderson. 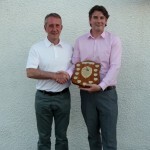 Top goal scorer- Steven Pennington. 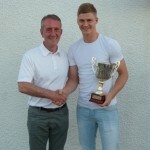 Clubman of the year- Kyle McCormack. 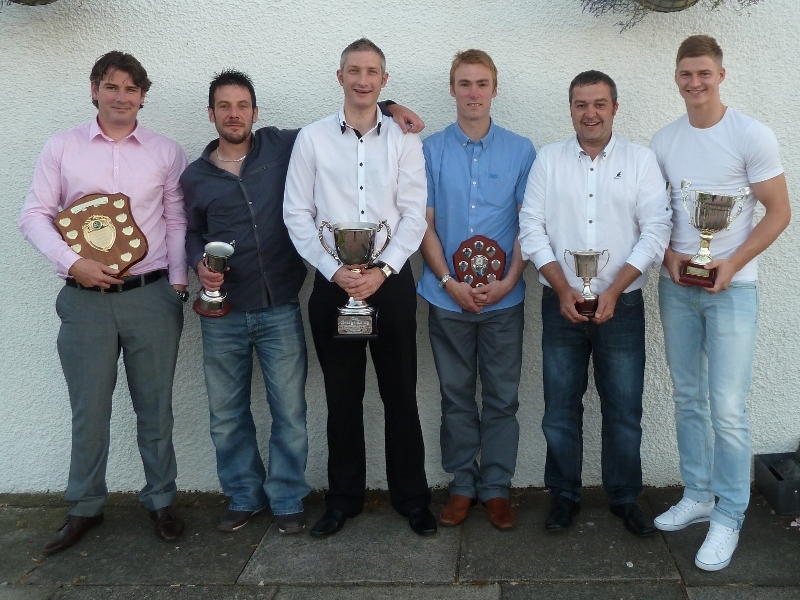 Pictured from left to right: Ricky Melville, Iain O’Leary, Scott McInroy, Charles Anderson, Kyle McCormack and Steven Pennington. Cupar Hearts unveiled a new committee player of the year trophy which was kindly donated by Anna Laing, the wife of the late George Laing who was a committee man for many years. Pictured from left to right: Scott McInroy, Anna Laing and Chairman Jim Smith. Pictured below the winners with Chairman Jim Smith. The chairman would like to take this opportunity to thank the players and committee for their hard work throughout the season. Thanks also go out to the supporters and sponsors, especially Cupar Garden Centre, Ceres Butchers, Libo’s Chip Shop and the Westport Tavern. Cupar Hearts Annual General Meeting.